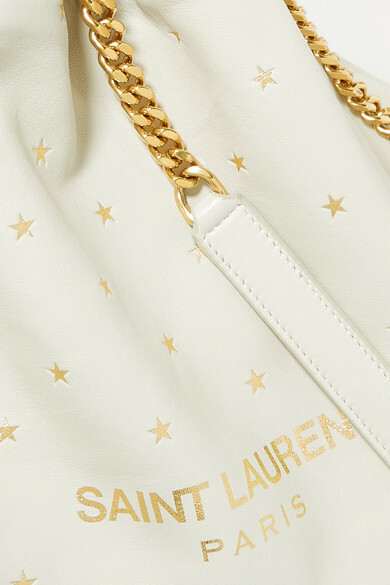 Who better to model Saint Laurent's 'Teddy' bag than Kate Moss? 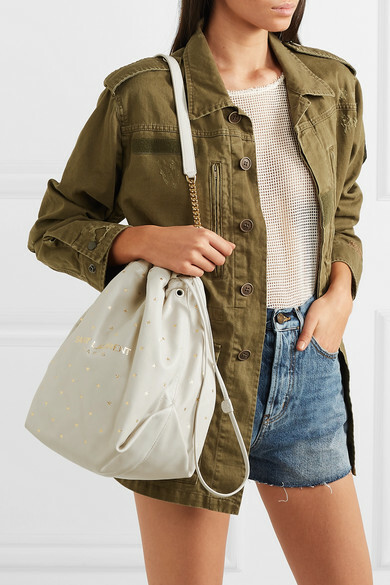 The supermodel was the face of the label's campaign last year and we can just imagine her carrying this latest iteration to a summer festival. 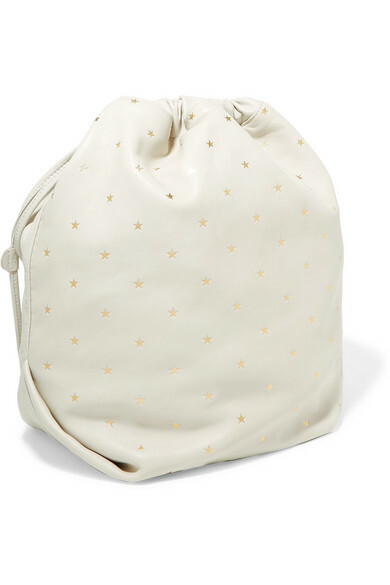 Made from supple cream leather sprinkled with gold stars, it has plenty of room inside for your essentials and a drawstring top to keep them secure. 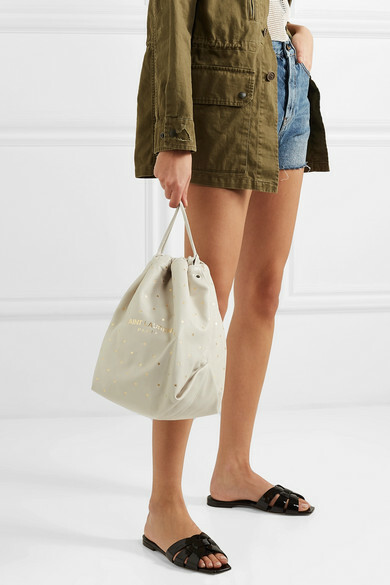 Shown here with: Saint Laurent Shorts, Saint Laurent Jacket, Saint Laurent T-shirt, Saint Laurent Slides.